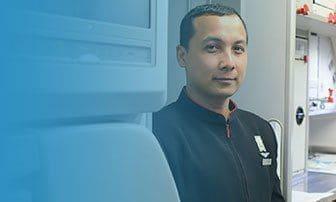 As a customer service agent, you will be responsible for answering travellers’ inquiries about the services offered by an airline, as required, and providing the necessary information about the organisation and referring them to the correct one. Receive complaints, criticisms from disgruntled clients in an attempt to find solutions to resolve their problem or dissatisfaction. This course covers the principles of customer service from the point of view of passengers, airlines and airport companies. Learn how to manage different categories of clients and services and how you can meet their needs within your organisation. Concentration on the main axes to customer satisfaction. Evaluate current customer service tools, e-services and social media applications. During the training, internship or eventual hiring in company with additional training, to better know the various professional fields. Feeling comfortable working with the public and facilitating communication are essential qualities. Good interpersonal skills, diplomacy and politeness because you will be the first contact with the passengers. Be honest and discreet and have a sense of responsibility, because you will have to get confidential information from travellers. Be autonomous and resourceful, because you will often be programmed to work alone and you will have to be able to solve problems or complaints from passengers. Airport Environment and Regulatory Areas. Basic principles of airport operating regulations. Client orientation system and airport infrastructure. Service profiling of an airline. Passing and analysing their needs. Identification and handling of dangerous goods.